In 2010, the American Planning Association launched a project with nothing less than the future of the planet at stake. The Sustaining Places Initiative looks at how cities, towns, and regions can meet today's needs without draining the next generation's resources. 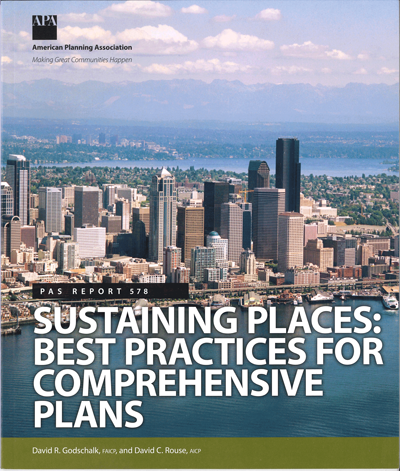 Out of that initiative in 2012 came Sustaining Places: The Role of the Comprehensive Plan, a guide that makes the case for building sustainability into long-range planning. Now APA has gone further, explaining how to put those plans in place. This report is not a recipe. It's a resource with principles, processes, and pointers communities can use to forge their own solutions as they meet the greatest planning challenge of our time.